Fishing is the number one summer recreational sport. 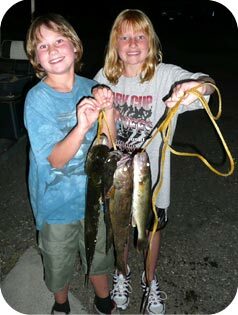 At Linwood Resort you'll find everything you need to catch "the big one". All cabin rentals include the use of a 16' Lund boat. We also offer additional equipment rental. A good selection of bait, tackle, gas, oil and fishing licenses are also available. 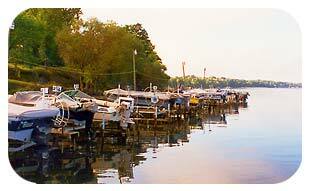 If you would rather bring your own boat, we have a boat launching service and boat lifts. Lifts are required unless you choose to pull the boat out after each use. Boats cannot be tied to the dock at any time. After a day on the lake and a stringer of fish, use our fish cleaning facility and free fish freezing and storage until you're ready to head home. There are no refunds on marine equipment including lifts due to lack of use. We cannot control the weather. Conveniently located next to Linwood Resort. 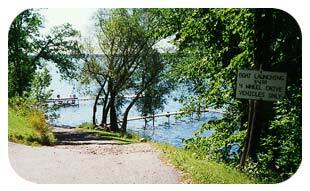 Lake Osakis is a "Mother Lake" for a 5-county area in Minnesota. As art of the stocking program supported by the Department of Natural Resources, Osakis receives many walleye eggs insuring that there is always good fishing. 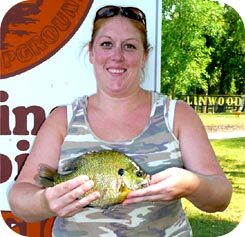 Besides walleyes, Lake Osakis is an excellent spot for catching sunfish, crappies, northern pike, bass and bullheads. Marine equipment, including lifts, rented by reservation must be paid for the duration of reservation regardless of use. 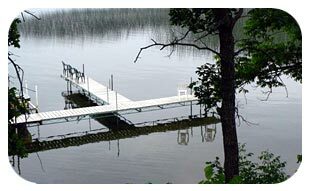 Motors: You are responsible for the cost of gas and oil for the pontoon.